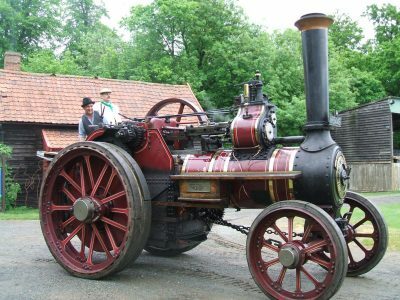 With 17 historic buildings set in 75 acres of varied landscape, the Museum of East Anglian Life (MEAL) is the largest independent museum in Suffolk. In January 2018, MEAL launched Search for the Stars, a collections digitisation project with a difference. MEAL cares for approximately 40,000 objects, once the everyday items of life in East Anglia. Ranging from working steam engines to butter stamps, the collection has a particular focus on the production of food and social history relating to it. At present, MEAL’s collection records take the form of physical index cards, dating back as far as the museum’s foundation in 1967. There are clear problems with this now outdated system around security, searchability and public accessibility. Search for the Stars is digitising these record cards to create a new online catalogue. This catalogue will provide a valuable research resource and offer a new way for those who cannot visit the museum to enjoy its collection, while also improving the MEAL team’s own understanding of the collection. Through this digitisation process, which systematically reviews all MEAL’s collection records for the first time, particularly interesting objects and their stories are being identified. These new ‘star’ objects are what give the project its name. The Empress of Britain, the museum’s iconic and much-loved steam engine. So, what makes this a digitisation project with a difference? Search for the Stars is volunteer-powered and pioneers a new model of ‘social volunteering’ at MEAL. This model has three strands. The first is remote or ‘from home’ volunteering, allowing volunteers to digitise scanned copies of record cards wherever they are. These remote opportunities are enabled by MEAL’s collections management system, eHive, which can be accessed anywhere with an internet connection and allows multiple simultaneous users at no extra cost. The second strand is group volunteering, delivering one-off or repeat sessions to pre-existing groups such as university and sixth form students. So far MEAL has worked with the University of Sheffield, the University of East Anglia, Nottingham Trent University and local sixth form colleges, delivering sessions at the museum and on campus. The third strand is ‘out of hours’ evening and weekend volunteering, coordinated through the social app MeetUp. These sociable sessions focus as much on chatting about the collection as digitising it and have encouraged intergenerational dialogue (including a grandmother and granddaughter attending together). Social volunteering has produced a step change in volunteer numbers at MEAL, an organisation already regarded as volunteer-centric. By the end of September 2018, 135 people had volunteered on the project, digitising 4,760 object records and identifying 75 star objects. The flexibility offered by social volunteering in terms of both time and geography has significantly diversified MEAL’s volunteer pool. Over half the project’s volunteers have been aged 24 and under, with approximately another third aged 25-59. The project has drawn in volunteers from across East Anglia, across the country and even across the world, with volunteers in the USA, Canada and Australia. The variety of perspectives this broader volunteer group bring is creating a rich and varied selection of star objects; the only criteria is that the object capture’s a volunteer’s imagination. Want to get involved in Search for the Stars? Find out more here. 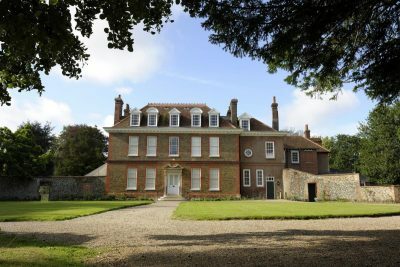 Or, visit Volunteer Suffolk to see more volunteering opportunities at the museum.